Five hours that will change the way you sell forever! Get started by taking the first module for free. 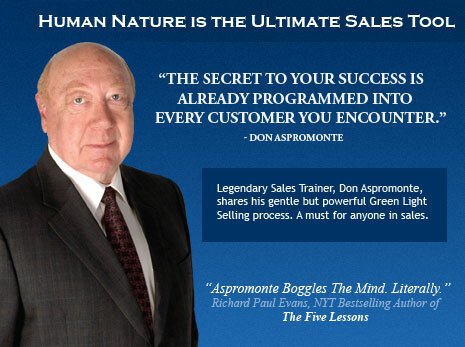 about the Green Light Selling Virtual Seminar. Based on Neurolinguistic Programming (NLP) technology, the Green Light Selling technique is the most practical way to keep your sales opportunities moving all the way to closure. Learn the 5 simple steps that practically ensure that your qualified prospects will become satisfied customers.